The natural beauty and serenity of golf courses often appeals to more than just golfers. Many species of wildlife and vegetation can be found inhabiting these properties. While beautiful, animal and plant life can become intrusive and create problematic issues for owners/managers and their guests – particularly if these species are protected or environmentally regulated. Properly handling environmentally-sensitive issues is one of the many benefits IGM offers its golf course maintenance clients. Our experienced team has dealt with California condors, eagles, cattails vital to the breeding of redwing black tails, beehives and honeybees, as well as many water and irrigation projects. Many of these issues involve collaboration with the Environmental Protection Agency and other regulatory agencies. We make it our business to know the rules and develop compliant implementation plans that will meet the course owner’s needs. As a full-service golf course maintenance contractor, IGM takes our environmental commitment further, though. Our agronomic experts are leaders in environmental performance through stewardship, education, employee involvement, and the utilization of Integrated Pest Management (IPM). Advocates environmental awareness and education with our team. Discusses environmental issues and our commitment with clients. Strives for efficiency in use of materials and resources. Considers the environmental impacts before decisions are made. Avoids unnecessary use of hazardous materials and products. IGM’s environmental commitment program helps our clients keep their golf courses compliant with current environmental rules and regulations. 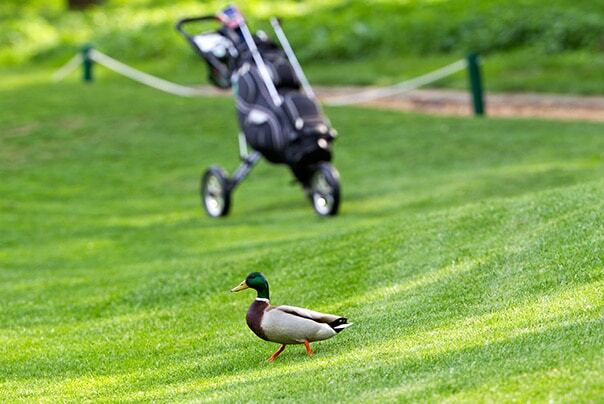 With our assistance, many of the courses we maintain are able to achieve certification with the Audubon Cooperative Sanctuary Program for Golf Courses.